Part of what makes Team Password Manager especially useful is users' ability to share passwords across team members, organizations, and clients, yet at the same time manage what users have access to which passwords. This allows security to stay intact while improving overall work flow. With Team Password Manager you won't have to worry about sending passwords through email or trying to spell them out on the phone or texting them to your team members, just to have those passwords lost over and over again. You can simply give users access to passwords as they need them. Team Password Manager allows you to group users together for easier management, just like you would group passwords together. Individual users and groups can be assigned to projects and their access is easily controlled – they only have access to password groups that you allow. Access is also easy to turn on or off. 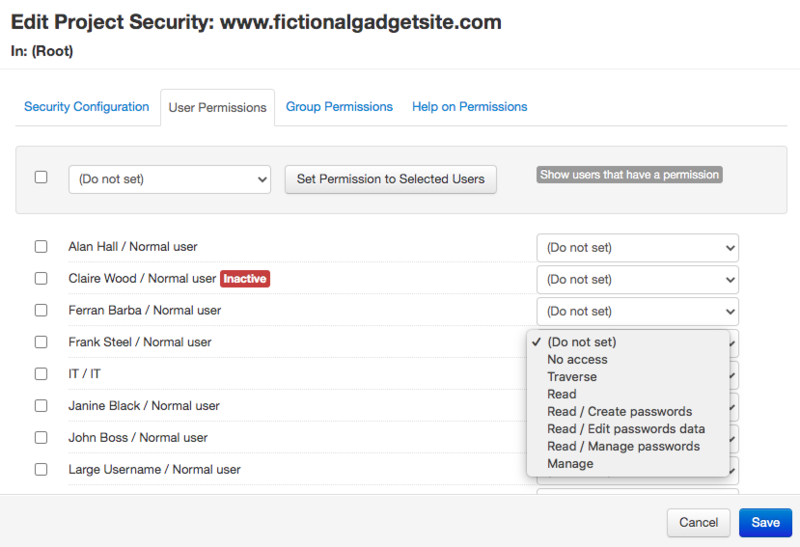 In addition to manage permissions via projects, access to individual passwords can also be granted to those users or groups that do not have access to their projects. Project manager: create and manage projects (plus normal user rights). 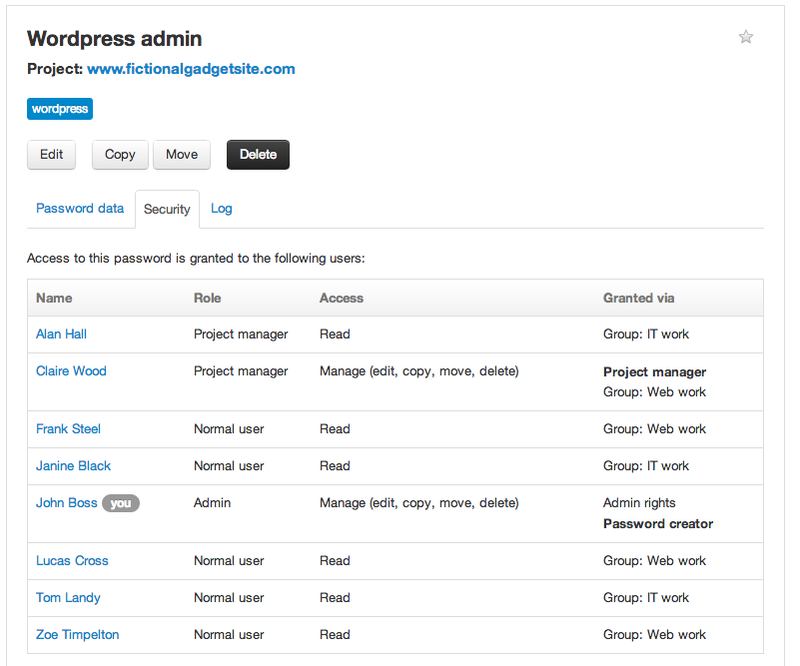 Normal user: create and manage passwords on assigned projects. These roles limit what the user can do and keep security maintenance simple. The special IT role is used for maintaining the software (creating users, managing settings, and so on) without having access to all the projects and passwords, which Admins do. Users with role IT have access to the projects and passwords they create or are assigned to. 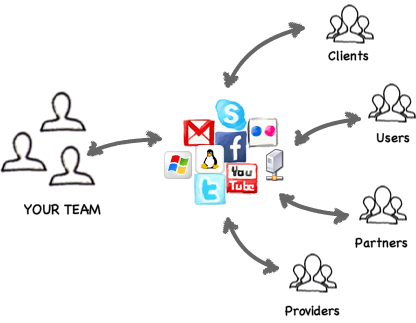 They can also manage users and groups, except that they cannot create or manage users with role Admin. All the password and projects screens have a tab called "Security" that lists which users have access to that password or project. With Team Password Manager, controlling users and access is as easy as managing the passwords themselves. Team Password Manager also supports authenticating users via a Lightweight Directory Access Protocol (LDAP) or Active Directory (AD) server. This allows our software to better and quickly integrate with companies that have an existing user directory since it features a way to import users from LDAP repositories. 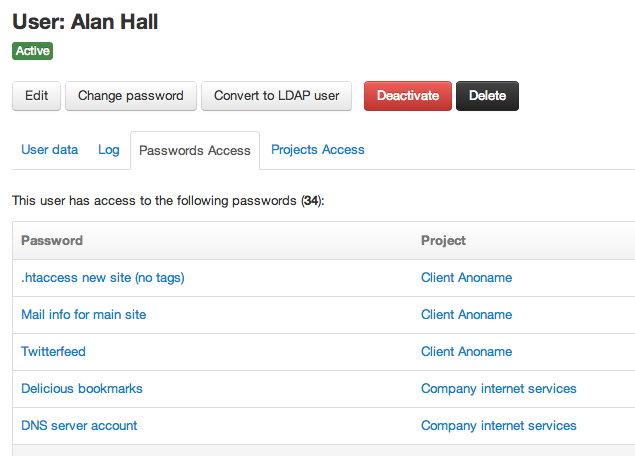 Take a look at how LDAP/AD authentication works in Team Password Manager for more information. LDAP Sync and LDAP Groups automate even more the creation of users, groups and group membership from the corporate LDAP Servers. See the LDAP Sync document for more information.